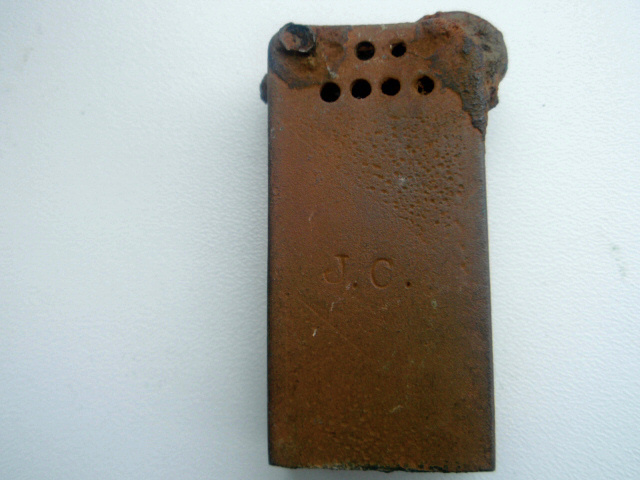 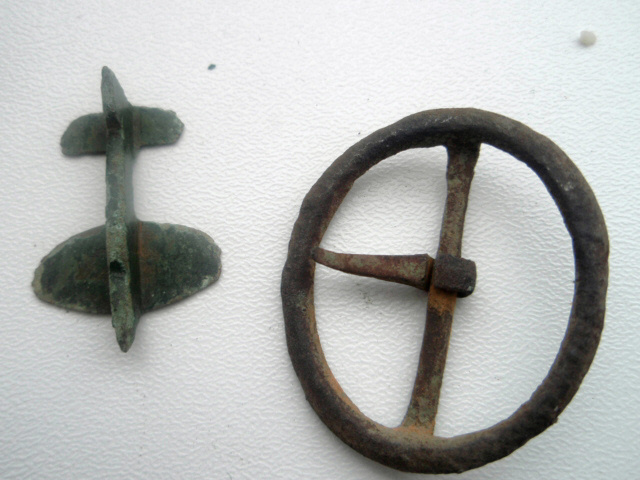 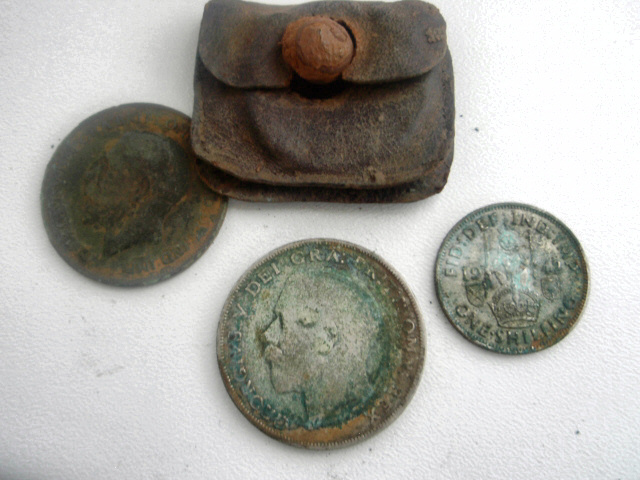 Photos of local finds from Rob Sutcliffe of the Two Dales Metal Detecting Club. 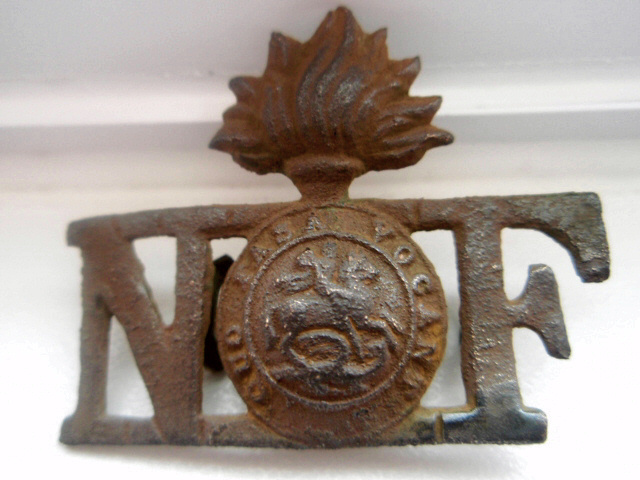 "QUO FATA VOCANT" (Whither Destiny Takes Me) is the Regimental motto of the Royal Northumberland Fusiliers. 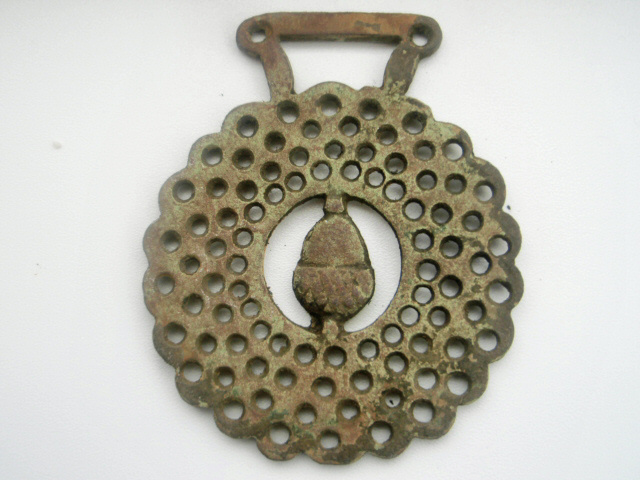 This find is a shoulder badge from a tunic, the motto reads "QUO FASA VOCANT" - apparently a 1913 issue of this badge had FATA mis-spelt as FASA. 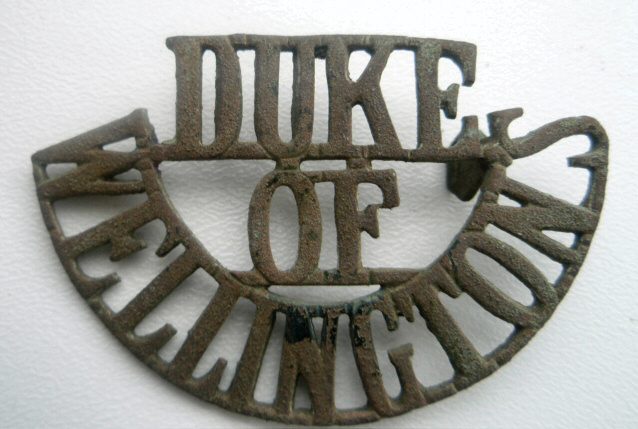 The Gentleman's Military Interest Club site has an interesting article about the Royal Northumberland Fusiliers, including a photo of the badge as it would have looked when new.